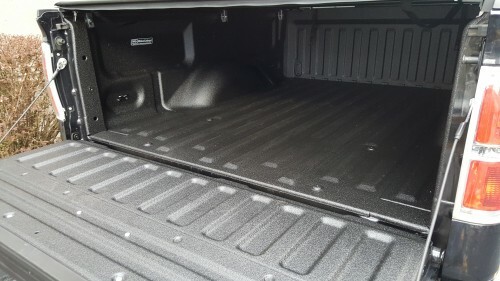 I finally got around to getting the bed of the truck sprayed with Rhino Liner and the TruXedo Lo Pro QT tonneau cover installed. Kingston Caps & Trailers did a wonderful job all around and the truck looks fantastic now. 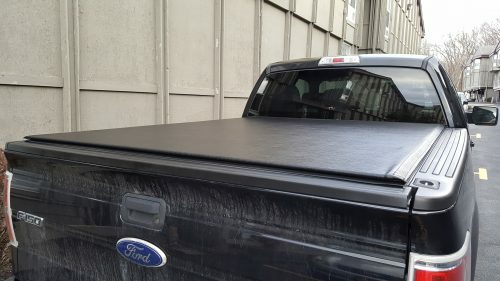 Can’t thank everyone in both families enough for chipping in at last year’s birthday for the tonneau cover. Also have to thank Jess for letting me spend the extra money to get the Rhino Liner done too! If Only This Were True 99.9MPG baby! Reset the gas meter while coasting downhill. If only I could get even close to that I'd be golden with a 36 gallon tank. Would only have to fill up every oil change. That Rhino liner is the cat’s meow. Looks nice!